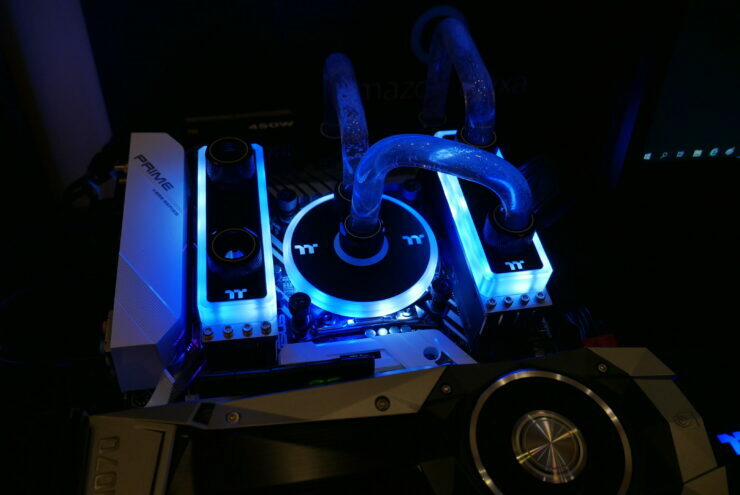 When I visited Thermaltake at CES and they asked if I wanted to check out their WaterRam I wasn’t quite expecting what they showed us. 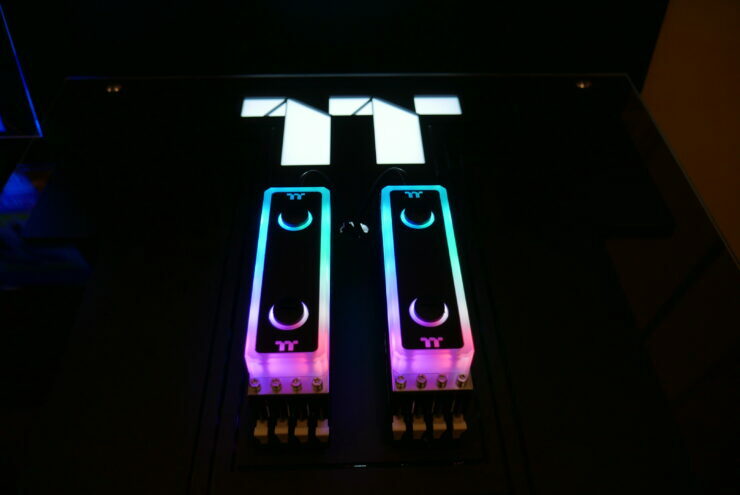 I had honestly expected to see some version of last years ADATA Jellyfish Memory with those tubes of water in the RGB diffuser. 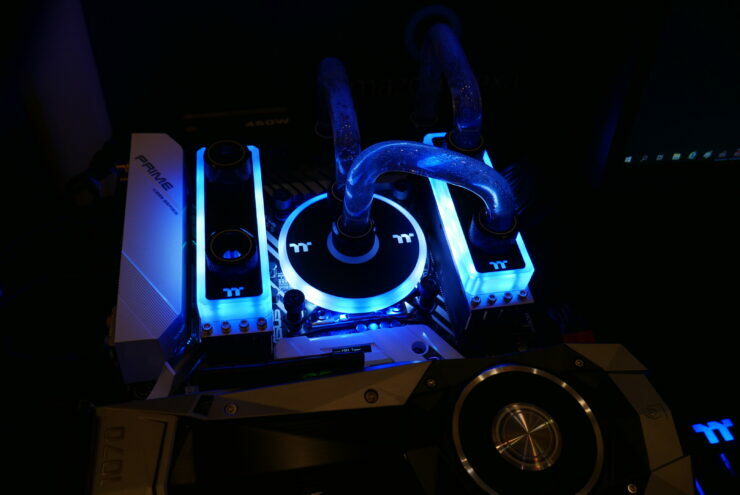 But instead what we got was legitimate water cooled memory. 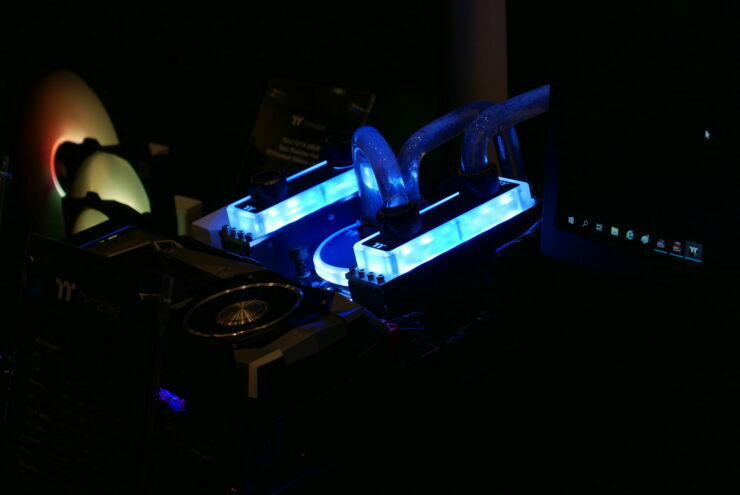 The DIMMS were solid with a nice heatspreader on them so you could easily use them under air cooling conditions as you prepare your system for full water. 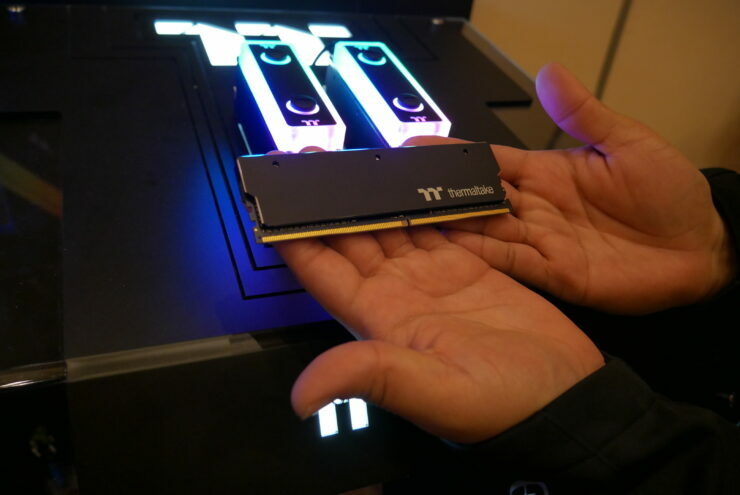 The blocks attach to the tops of the memory heatspreaders through allen keyed screws. 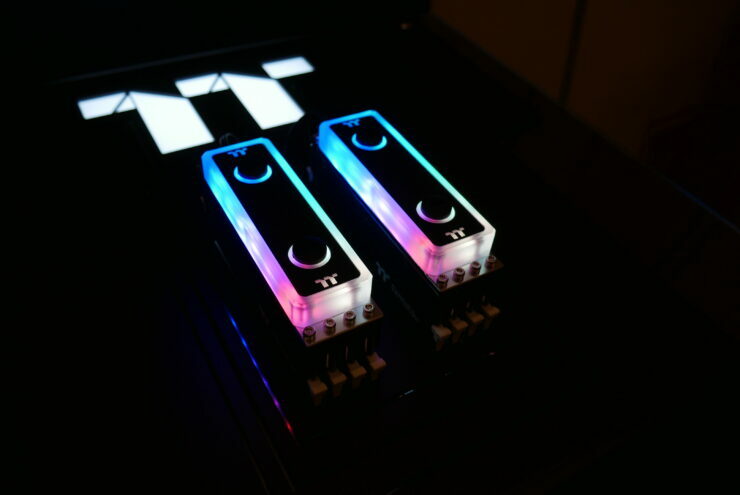 These screw holes were spaced out and slotted so that they can accommodate many motherboard configurations, Thermaltake claimed they had not found a motherboard where the waterblock had not been able to be installed. This is a concern as some boards place their memory at different spacing. Something else that was discussed was the idea of shipping in 4 DIMM packs regardless of capacity. 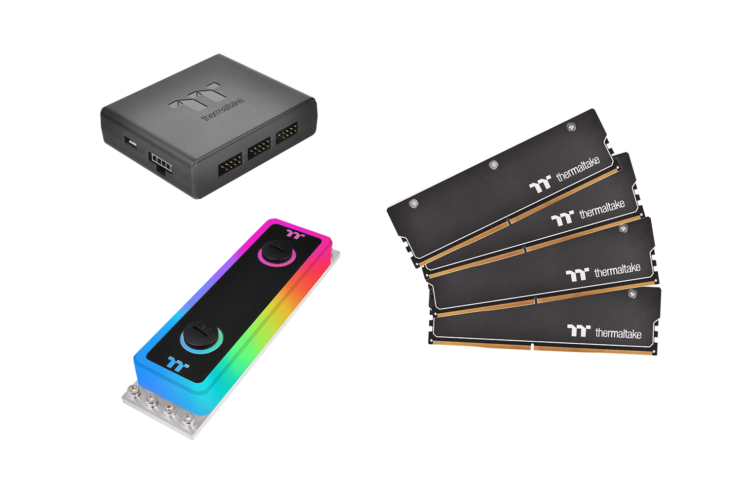 So much like what AORUS started and others have started following with the idea of Dummy DIMMS. For some reason the term Cosmetic DIMMS just sounds less cheesy to me. Either way we’ve included what the company had to say about their WaterRam including the specs they’ve laid out so far. Let us know what you think about a kit like this one the market now, too much hassle or welcome it to the party? 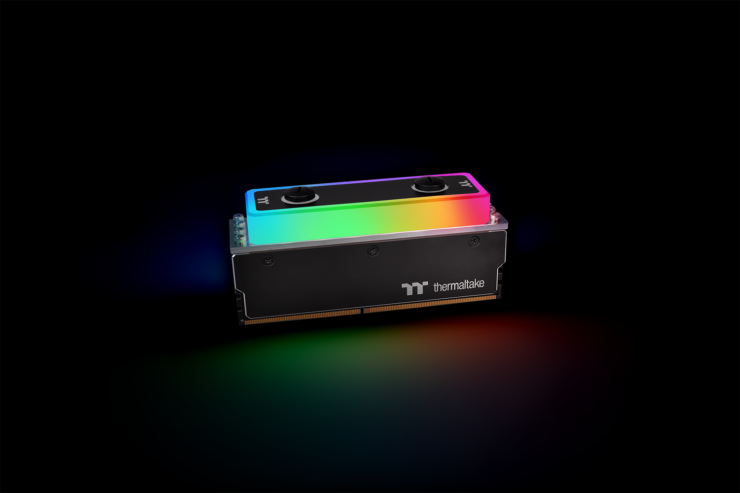 WaterRam RGB offers ultimate flexibility for cooling options, the included RAM water block is designed with CNC machined copper base, PMMA cover and anti-corrosive nickel plating to allow high water flow to efficiently cool up to four DDR4 memory modules, and the 2mm thick aluminum heatsinks with high efficiency thermal pads offers superior heatsinks convection. 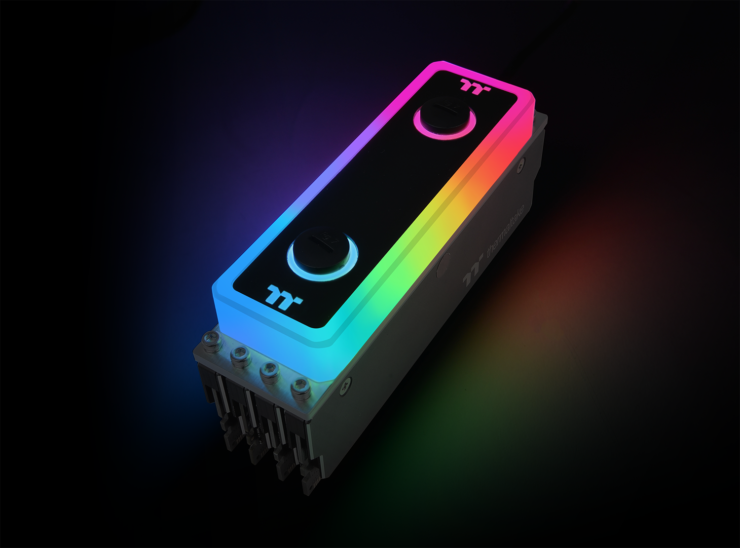 In addition to two-way cooling options, WaterRam RGB incorporates the latest RAM technology in the market to support high intensity gaming or other high speeds required activities. 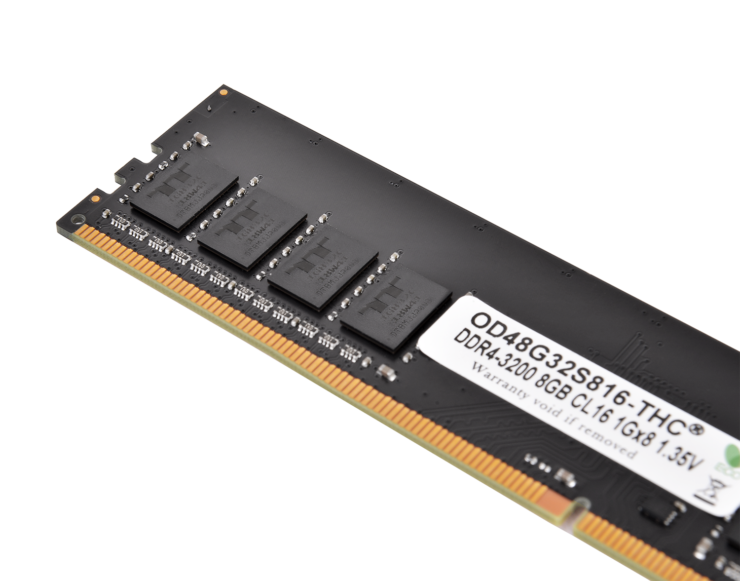 Comes in 32G/16G, The RAMs are built with tightly screened ICs, 3200MHz high speed that supports Intel XMP 2.0 one-click overclocking technology with low CL16 latencies and were tested on the latest Intel DDR4 motherboards to ensure optimal DDR4 performance. 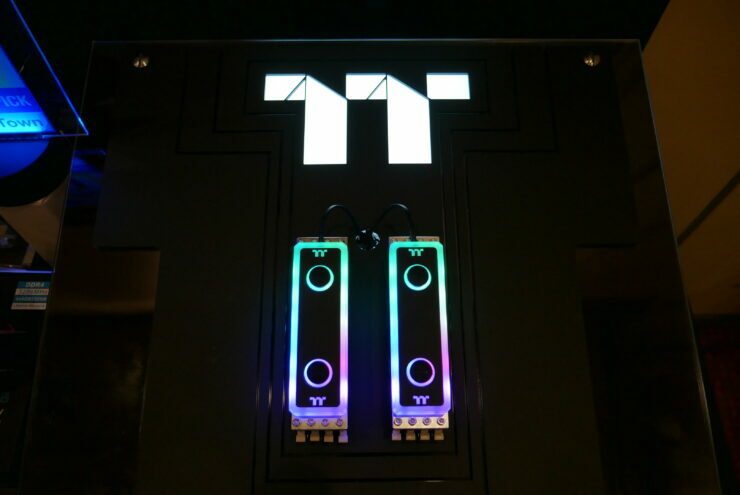 While WaterRam RGB ensures peak performance, it is also gorgeous, built with 12 high lumens addressable LEDs of 16.8 million colors that can be controlled by TT RGB PLUS Ecosystem and sync with ASUS Aura Sync, GIGABYTE RGB, MSI Mystic Light Sync and AsRock Polychrome. 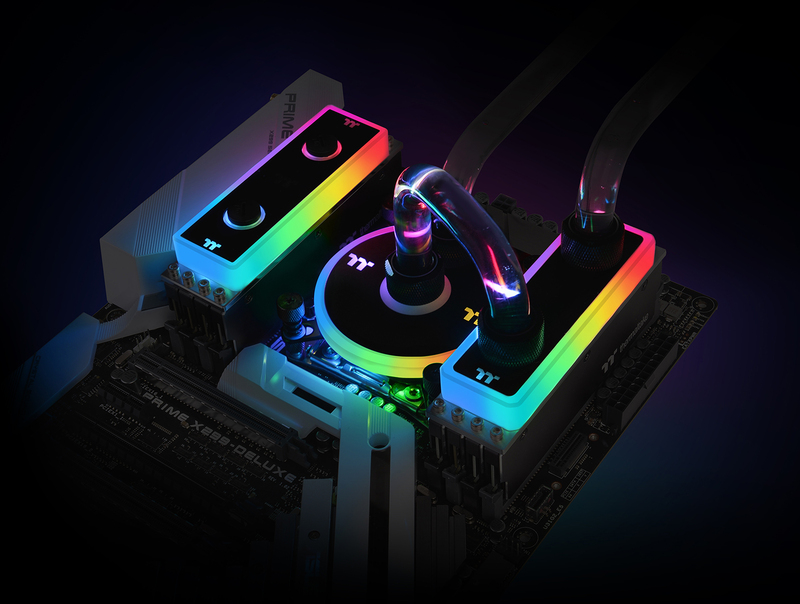 WaterRam RGB Liquid Cooling Memory was crafted for excellence and takes your system to a whole new level!